We are excited to roll out our recently developed mastery scheme to students arriving in Year 7. Research has shown that a greater emphasis needs to be placed on number value on operations to be able to access higher content so we have tailored our pre-existing scheme to allow for this. Students will be encouraged to explore maths creatively, critically and collaboratively. Students should be challenging the maths presented to them and encouraged to explore maths more deeply. Pupils will be set on sides of the year accordingly to ability and these will be adjusted as appropriate throughout the year. Number 1 – Place value, operations with different number forms and misconceptions relating to number value. End of term project incorporating skills acquired throughout the term. Statistics 1 – Pictograms, tally charts, bar charts, mode, median, mean and range. Geometry 1 – Properties of 2D and 3D shapes, perimeter and area. Number 2 – Simplifying fractions, converting between types of fractions and operations with fractions. Algebra 1 – Collecting like terms, simplifying expressions and simple substitution. and angles around a point. Algebra 2 – Function machines, solving simple equations and sequences. Number 3 – Rounding, powers, roots and ratio. Algebra 3 – Coordinates and geometrical reasoning. Statistics 2 – Probability and outcomes. Assessment feedback and next steps. The Year 8 cohort will revise and extend topics that were covered in year 7 to build greater understanding. The end of year tests will help us to refine sets and ensure students are set appropriately. Number 1 – Powers of 10, operations with negative numbers, factors, multiples, primes, BIDMAS and prime factor decomposition. Algebra 1 – Collecting like terms, simplifying algebraic expressions, substitution, factorising and expanding simple expressions. Number 2 – Conversions between fractions, decimals, percentages, operations with fractions, and ordering numbers. Algebra 2 – Function machines, solving simple equations, sequences and inequalities. Geometry 1 – Properties of 2D/ 3D shapes, perimeter, area, nets, surface area, volume. Statistics 1 – Representing data via pictograms, tally charts, bar charts, line graphs, pie charts. Averages from lists of data as well as frequency tables. Number 3 – Rounding (decimal places and significant figures), estimation, powers, roots, ratio and proportion. Algebra 3 – Coordinates, plotting straight line graphs, properties of parallel and perpendicular lines. Geometry 2 – Basic angle rules, angle rules inside parallel lines, constructions, loci, bearings and transformations. Statistics 2 – Probability, relative frequency, sample spaces, two way tables and distance time graphs. Consolidation and revision, exams and feedback. The core foundation of maths will have been laid during years 7 and 8 so the content in year 9 will revisit the vast majority of the previous content with a view to extending the learning. New topics that will emerge as a result of that extension are some of the following. Number 1 – Higher common factor, lowest common multiple, standard form and compound measures such as speed, distance, time and force, pressure area. Algebra 1 – Factorising quadratics and expanding double brackets. Multiplying and dividing algebraic fractions. Number 2 – Calculations involving reverse percentages/ percentage change, recurring decimals, direct and inverse proportion. Algebra 2 – Solving higher order equations like quadratics using factorisation, completing the square or the quadratic formula. Rearranging formula and simultaneous equations. Geometry 1 – Volumes of prisms and special 3D shapes, congruence, similarity, area and volume scale factor. Statistics 1 – Venn diagrams, velocity time graphs, stratified sampling and probability tree diagrams. Geometry 2 – Interior and exterior angles, negative enlargements and constructions and loci. Algebra 3 – Plotting higher order graphs such as quadratics, cubics, reciprocals and exponentials. Geometry 3 – Introduction to Pythagoras and trigonometry. Statistics 2 – Cumulative frequency, box plots and histograms. The Year 10 mathematics curriculum continues to prepare students for their final mathematics GCSE. 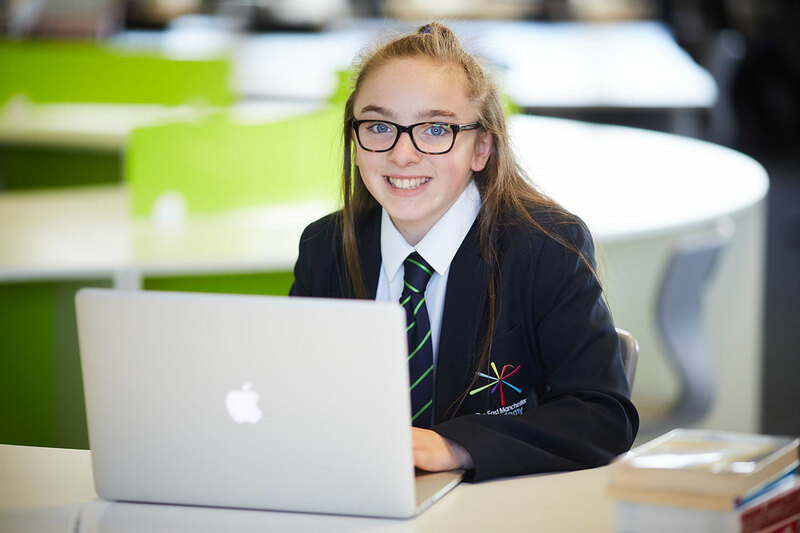 In Year 10 students will be placed on a higher or foundation route depending of prior achievement and suitability for each course. At the end of the course students will be given a numerical grade of 9 -1. The 9 is the top grade. The DFE states that a 4 would be equivalent to the old grade C and a 7 would be equivalent to the old grade A. Note: the content covered may vary slightly from set to set according to ability and readiness for these topics, and whether a candidate is entered for the foundation or higher maths exam. Number 1 – Standard form, fractional and negative indices, surds, limits of accuracy. Number 2 – Growth and decay, convert recurring decimals into fractions, direct and inverse proportion. Geometry 2 –Circle theorems, Vectors, circle theorems proof. equations, transformations of curves, equation of a circle. Geometry 3 – Sine and cosine rule, Pythagoras and trigonometry in 3D. In Year 11 students will follow a personalised scheme of work depending on progress during Year 10. The schemes are designed to ensure students cover the most suitable topics depending on their learning needs and support maximum progress during year 11. From January, students will sit an in class, mock once a week, in lessons to develop exam technique and address gaps in learning. Worked solutions for in class mocks will be placed on goggle classroom to support revision at home. Staff will run weekly Year 11 revision sessions from September which students are encouraged to attend.